Hitting the Headlines; Weymouth 1869. When you stroll through the streets of Weymouth, do you ever gaze up at the at the old windows and mansards of these historic buildings and wonder what silent spectres peer through their bubbled panes or pondered the scenes they may have witnessed during their long existence. The lives of our ancestors past, of their families, neighbours and friends, love and marriage, the feuds and fights, good deeds and misdemeanours, are for time immemorial embedded within these aged walls and windows. History books may acquaint you with the stark facts and the dates, but newspapers tell you the gossip, they flesh out the dry and dusty bare bones. Imagine this, it’s the summer of 1869 and your ancestor’s walking through town minding their own business when they suddenly come across a scene that could only be described as one right out of the Medieval era. A tattily dressed wizened old man set tight in the town wooden stocks, he’s surrounded by crowds of rowdy onlookers, who take immense pleasure in jeering and mocking him. 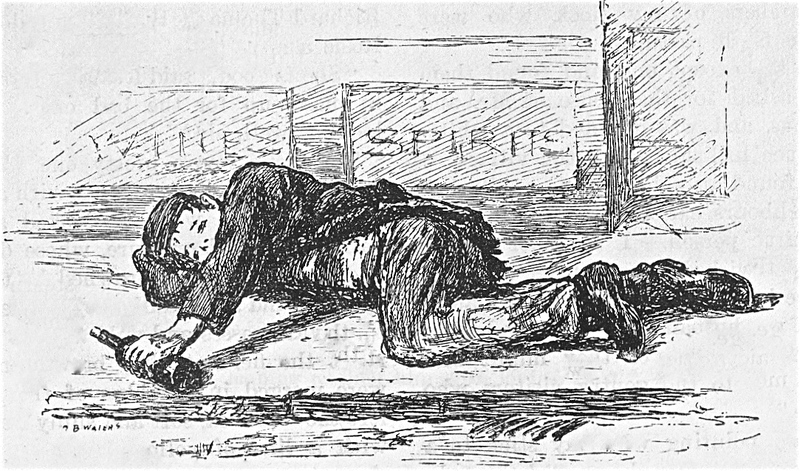 This tattered scrap of humanity is George Rendall, a ‘victim of intemperance’ a man described as a vagrant. His crime was to be found drunk and asleep on a seat along Weymouth’s esplanade. He impounded his wrong doings by also failing to pay the ‘drunkards crown.’ In all probability, he didn’t have two pennies to rub together anyway. 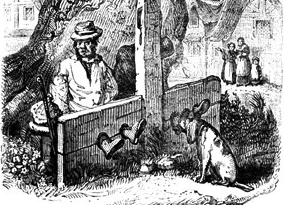 Only a couple of years later, the use of confining men or women in stocks was banned, though I rather suspect that there may still be those who would like to bring back these wooden vices for some of todays miscreants. That same week, in a crescent tucked away behind the grand esplanade buildings, one household experienced such horrors as no parent ever should. At no 1 Crescent Court lived 39-year-old Ester Fox and her children. Ester was still mourning the loss of her husband, John, whom she’d buried only a few months earlier. She was trying to survive as best she could, but it was so hard, with a young family to care for and no man to bring in a steady wage. Come one Sunday evening that July of 1869 and Esther was absent from the family home. Left in charge of her young brood was the eldest son. But kids will be kids, and one small mite, 2-year-old Joseph Charles, was up to mischief. He might have only been a toddler but he was hell bent on creating havoc. Unattended, Joseph managed to reach the box of matches that had beckoned him so temptingly with their lure of a flickering flame. Having at last lit the match he stared mesmerised as it’s vivid colours danced and twitched before his eyes. As the flame glowed brightly, Joseph dropped the burning stick, alas it fell instantly catching light to his thread bare garments. 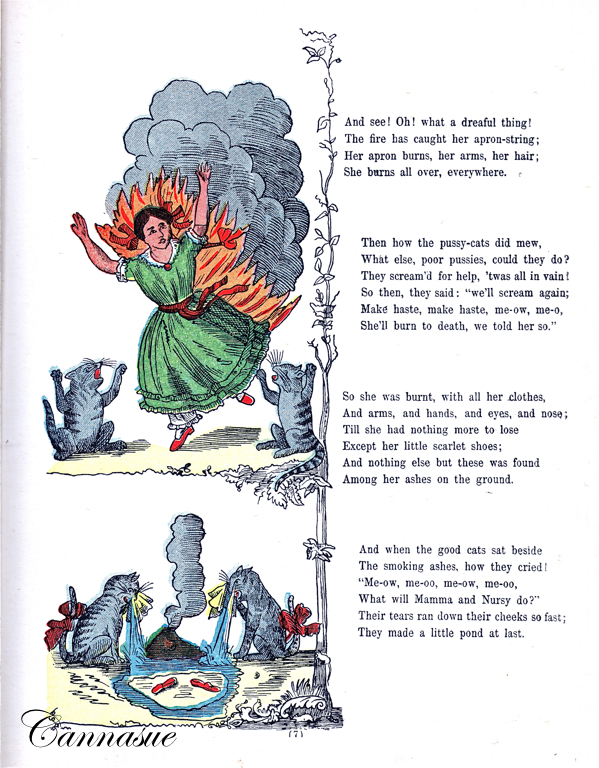 Before he knew it, like poor old Harriet in the Victorian moralistic tale, he was immersed in a ball of fire. His terrified screams brought help…but too late. Despite the best medical advice from a Mr Griffin, the poor little mite died in agony the following morning. On the 21st July, a distraught Esther and her family followed the tiny corpse of their cherished Joseph to Melcombe Regis cemetery, where he was laid to rest like his father only months before. 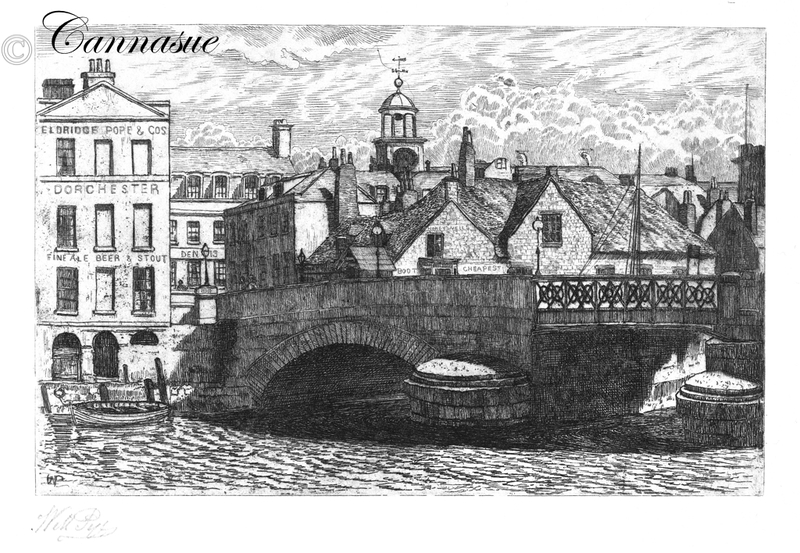 Not surprisingly, this bustling area surrounding the quayside and backwater witnessed many a misfortune. …had the mishap of not only losing his valuable heavy wooden delivery cart that he traded from, but also the poor horse it was attached to at the time. They both disappeared over the side of the quay. Hasten to add, the unlucky horse did not survive. Of course, what would the news reporting be without it’s usual list of drunk and disorderly? July of 1869 had it’s usual list of miscreants. William Honeybun fined 5s, found ‘drunk and incapable’ on the North Quayside on a Monday morning. Alfred Bland was ‘drunk and riotous’!…early one Saturday morning and his antics did not amuse the residents of Horsford Street. He opted for 7 days hard labour rather than pay the fine. Thomas Haughton, described rather unflatteringly as an ‘old man‘ was also accused of being ‘drunk and riotous,‘ He became rather ‘riotous’ after being refused another drink by the landlady of the Park Hotel. Diners as well as drinkers fell foul of the laws. 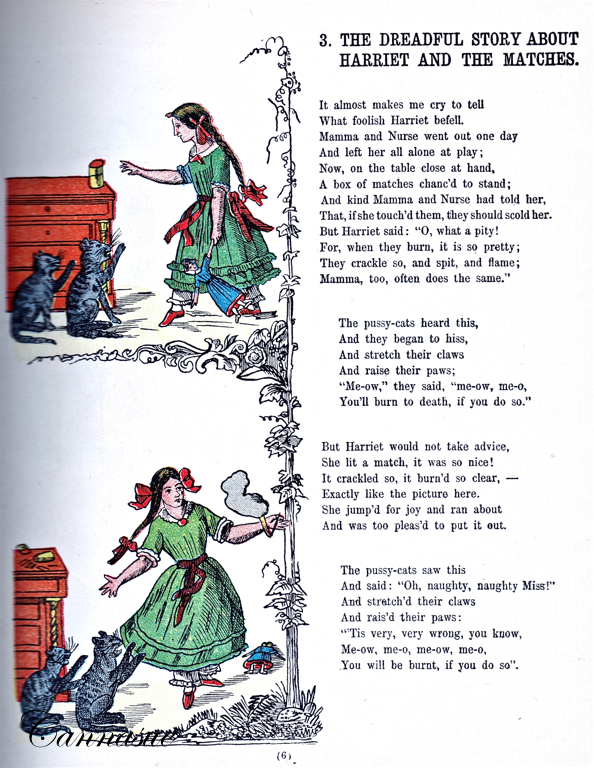 Susan Hamilton and Margaret Mooney entered the premises of Jane Pollard one morning and asked her for ‘five pennyworth of baked mackerel and a penny cake.’ But having ravenously devoured their tasty feast right down to the last few morsels and licked their fingers, the two women then attempted to vacate her premises without handing over payment. Plucky Jane wasn’t having any of it. She tried to stop them from leaving the shop, but the two women just pushed past her, giving her a mouthful of verbal abuse in the process. Jane wasn’t giving up, she followed them down the street, not only did their vile verbal abuse continue but now they were lobbing stones at the determined lass. Of course, this commotion attracted a great deal of attention and it wasn’t long before the local bobbies arrived on scene. The pair of pilfering females were swiftly arrested and hauled off to the town’s jail. They were both ordered to leave and never set foot across Weymouth’s boundary ever again. It wasn’t all doom and gloom though, Weymouth enjoyed good things too…in a manner. 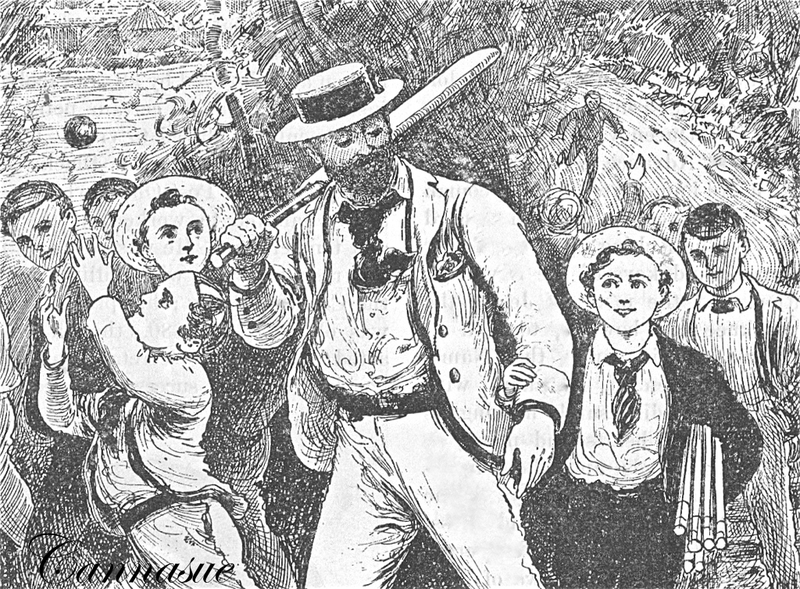 A friendly cricket match took place at Chafie’s Lake between the Weymouth Athletics team and the Portland eleven, though perhaps all didn’t go quite according to plan. During the rather one sided match, (in favour of the Athletics) whilst both running for the ball, a Mr Dominy and Mr Fooks collided heavily on the pitch, both men receiving serious injuries. Must have been bad (or maybe a bad bet)…a gentleman watching the game from the sidelines fainted! Now available from the Nothe Fort Museum and Weymouth Museum. Check out my Pinterest Board for more fascinating views of old Weymouth. Previous Post Death Becomes Us…Weymouth Wills and Legacies.